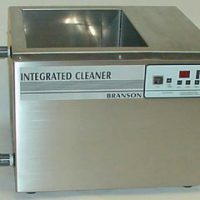 Branson IC1620 | Process Equipment & Supply, Inc.
Branson’s IC series integrated ultrasonic cleaning unit offers a full range of features to meet a variety of precision cleaning requirements. It incorporates many of the capabilities found on larger console units in a tabletop configuration. 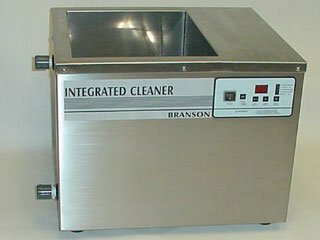 The IC unit is available with 25 or 40 KHz ultrasonic transducers to help match the cleaning power with your application. Generally, 25 KHz is used for cleaning large massive parts; 40 KHz is used for small, intricate parts or components with complex geometries.